The U.S. auto industry is pleased with long phase-out periods for tariffs on Japanese-made vehicles under a proposed Pacific trade pact, but would have preferred longer than 10 years to remove 25 percent tariffs on commercial vehicles from countries including Vietnam and Malaysia. WASHINGTON (Reuters) -- U.S. automakers are unlikely to win a much bigger share of the Japanese vehicle market despite a bid to break down trade barriers under a new Pacific trade pact, a key advisory committee found, highlighting the difficulties ahead in winning votes for the deal through Congress. Carmakers joined the tobacco industry, pharmaceutical companies and financial services in expressing reservations about parts of the Trans-Pacific Partnership agreed among 12 Pacific Rim trading partners in October. Still, the U.S. Trade Representative said 27 trade advisory committee reports released on Friday, covering sectors ranging from grains to IT, showed the deal had "overwhelming" support from a wide coalition of interests. The Obama administration's top advisory committee said a majority of members were happy with the deal, pointing to the farming sector as a big winner. Stakeholder support will help convince lawmakers to vote for the deal, which faces opposition from unions worried about the impact on U.S. jobs. The most critical report came from the Labor Advisory Committee, which said it should not be submitted to Congress. 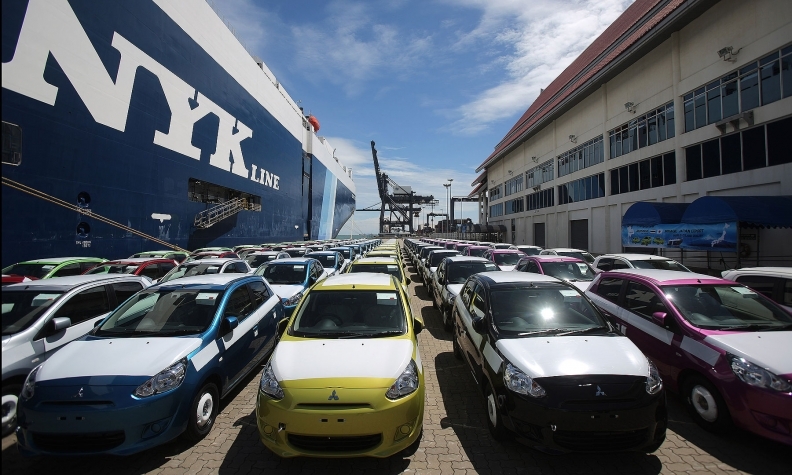 The report covering autos said members were pleased with 25-30 year phase-out periods for tariffs on Japanese vehicles but would have preferred longer than 10 years to remove 25 percent tariffs on other commercial vehicles. U.S. access to Japan would marginally improve after Japan loosened regulations Detroit carmakers complain have shut them out, but "these commitments will not lead to a substantially larger U.S. presence in the Japanese motor vehicle market," said the committee, which includes General Motors and the American Automotive Policy Council. The report also noted "real concerns" about weak rules on local content, especially for parts. Auto parts can qualify for duty-free treatment with 35 to 45 made-in-TPP content, a lower level than the North American Free Trade Agreement. The UAW on Thursday opposed the deal and said it was unacceptable that more than half of the value of a car or truck could be built by non-TPP countries and still receive preferential treatment. The UAW has a representative on the committee, along with GM and industry groups, including the American Automotive Policy Council and the Motor and Equipment Manufacturers Association. The steel committee said the lower thresholds were a "serious concern" and threatened local steelmakers, given the auto industry consumes about a quarter of U.S.-made steel. Service and finance industries backed the TPP "on balance," despite inadequate protections against rules forcing companies to store personal data on local servers. "The outcome on this issue in TPP puts U.S. financial services companies at a competitive disadvantage relative to their local competitors in markets that impose such requirements," the report said. The environmental committee said the TPP was better than previous agreements but did not do enough to restrict greenhouse gas emissions.